"No myths. I want the truth." 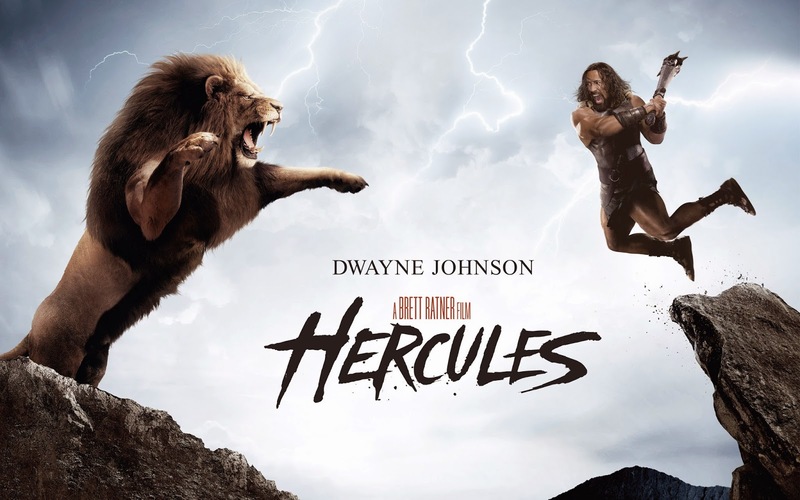 Hercules is a retelling of the titular mythological hero divorced from its mythology, and is surprisingly tolerable for a mindless action vehicle. Do not believe what you see in the trailer; if anything, the film is actually a deconstruction of the Hercules myth. The central conceit is that Hercules is not just one man: he's helped along on his path by a group of followers with personalities pulled from other movies. Rufus Sewell plays the wisecracking mercenary Han Solo type, Ingrid Bolsø Berdal plays the dexterous archer Legolas type, and so on. But in spite of this derivative characterization, the actors all bring life and charisma to their roles (Rufus Sewell and Ian McShane are particularly enjoyable). What really makes this more than a forgettable action adventure is that it actually (kind of, sort of) tries to talk about interesting ideas. The whole premise of peeling away the legend to look at the man underneath necessarily involves classic themes of perception vs. reality, but this isn't just some unacknowledged thematic undercurrent—the film openly tries to talk about it. I'll be honest: it's not like it has anything new to say (man is always less than myth; perception is a fiction, but one with its own power), and the other side of this is a morally questionable film about how violence begets violence and is solved by yet more violence. But going into this expecting one of the worst movies of the year, I was just delighted to find anything substantial at all. I'll be honest: the reason I watched this was because I finally had an opportunity to double feature a big blockbuster with its trashy Asylum counterpart. I was essentially imagining an article about how hopeless Hollywood is because The Asylum can make better b-movies than they can. This is not the case here (unsurprisingly for everyone except me). Not only was Hercules Reborn a hopeless disaster, but The Rock's passion project actually turned out to be basically watchable. Cool concept art I found. The problem with Hercules is that most of it is a bit dull. There are too many scenes of people talking about unimportant stuff in uninteresting ways. The action scenes work well enough, but aside from a few fun editing decisions most of the material is pretty plain. It feels all too often like 300 without the visual style or narrative clarity, or like Lord of the Rings without the expansive universe or emotional range. Like its characters, the story is made up of recycled plot points borrowed from other sources but without the necessary added life and charisma. Generally I just avoid stuff like this, but every now and then I feel the need to check in and make sure I'm not missing out on anything. And this time, at least, I'm glad I did. 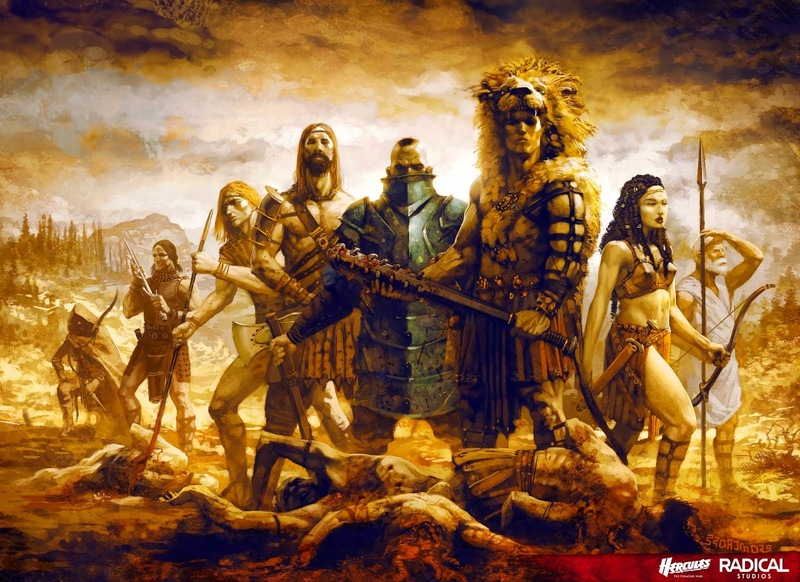 I don't imagine I'll want to watch Hercules again anytime soon, and I don't know if I'm quite confident enough to really recommend it to anyone else, but it certainly blew my expectations out of the water. It's still far from a well rounded good meal, but it's a satisfyingly unhealthy dessert, and sometimes that's exactly what you need.